Silver print, C-print, Ektacolour, Cibachrome; like some ancient lost language, these words evoke analog photography's glorious past. Of the photographic negative master photographer, Ansel Adams once said, "The negative is the equivalent of the composer's score...". But with the advent of digital technology and the subsequent demise of the film camera, even the humble ‘negative’ is superfluous. As for the hallowed darkroom, where a certain type of magic could and did take place, fewer and fewer exist. Replaced by the recording of images electronically and displayed instantly on the screen of a digital camera or computer. No film, no chemicals and no specialized knowledge – pertinent to the 150 year plus history of the analogue photograph – is needed. Presented in partnership with Contemporary Calgary and Alberta College of Art and Design’s Illingworth Kerr Gallery, ‘Before Digital: Post-1970 Photography in Alberta’ takes a selective look at the last fifty years through the eyes, camera shutters, and darkrooms of twenty-seven photographers working in the province. Featuring close to 80 works in (gelatin) silver print, C-print, Ektacolour, Cibachrome, and other less common film products or processes, this large survey also highlights the growth of fine art photography from the documentary to the more conceptual or photo-based art. The subjects of these Alberta-based picture-makers are numerous and diverse. There is Orest Semchishen’s splendid images of Byzantine churches in the province; M.N. Hutchinson’s infra-red dream inspired self-portraits; Sandra Vida’s feminist photo cut-outs; Don Mabie’s tongue-in-cheek photographic commentary on the ’78 Commonwealth Games; Barbara Spohr’s highly personal C-prints with text and Ingrid Plaudis’ hand-coloured silver prints of a dance marathon in motion. In other cases, Sima Khorrami journeyed to Iran, Romania and Croatia to document the Romani while alpine aficionados, Ernie Kroeger and Diane Colwell, ‘refresh’ the cliched subject of the Canadian Rockies with his Cibachromes and her manipulated polaroids. Even more recent is the “21st century spin of a vehicle-drawn darkroom trailer,” aka The Mobile Darkroom, built and used by Shane Arsenault and Natalia Barberis, graduates of the Alberta College of Art + Design. Dianne Bos also debuts her new cyanotypes, recently created in the French countryside. Other photographers of the beautiful, the unusual, the surprising and the engaging include: Randall Adams, Douglas Clark, Don Corman, Douglas Curran, John Fukushima, Hugh Hohn, Dan Hudson, Carol Johnston, Arthur Nishimura, Garth Rankin, Craig Richards, Colin Smith, Ed Spiteri, George Webber, John Will. 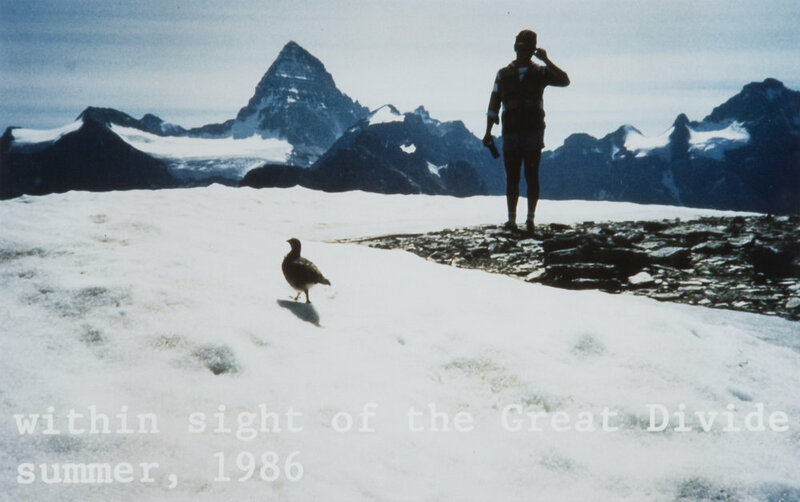 ’Before Digital: Post-1970 Photography in Alberta’ is guest curated by Mary-Beth Laviolette for Contemporary Calgary.